This week I have been looking into HDMI cables. With prices ranging from £2 to £675it can be a bit of a minefield out there when it comes to selecting the best cable for your home entertainment set up. Well, I can tell you now, they are pretty much The Same Difference. When D wanted to buy a new cable to replace his old one to connect his Nexus tablet to the 1080p TV, he chose the cheapest cable he could find on eBay. Now, D’s does like his gadgets and gizmos so I questioned his extremely frugal choice of cable. Was it that he was taking our new thrifty lifestyle extra serious or was there another reason? So I asked. Geeky D then gave me a nice long lecture explaining the technical (non) differences between HDMI cables. Sceptical of his beliefs (remember I said it pays to do you homework?) I did a bit of surfing on ye old t’interweb to see if this astonishing fact was true. And I can happily confirm it is true! Unless you need your HDMI cable to travel further than 15m, which is unlikely at home, then a cheap high speed HDMI cable is sufficient for pretty much all devices at home. Due to the insignificant price difference between a high speed HDMI cable and standard speed HDMI cable you may as well get a high speed cable. They can handle well above 1080p and can even handle 3D (despite what the guy in Currys will tell you). I have read page after page on the Internet and they all say the same thing; there’s absolutely no picture or sound quality difference between cheap HDMI cables from eBay and HDMI cables that have a ‘HD polyethylene composition’, are ‘silver plated’ and cost £675! So we just bought a cheap 5m high speed cable, so we can keep the tablet next to us when watching the film on the TV screen, for just £3.50, and the picture and sound is fantastic! under 15m provide the same picture and sound quality. 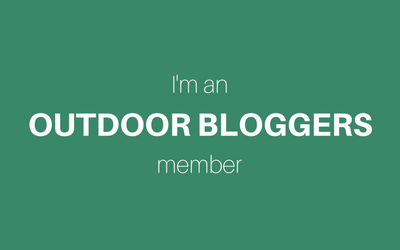 I'm a bright-haired, hill walking, magpie whispering, skull collecting, tree hugging, money saving, bird watching, happy campervanning, ferret fanatic, woodland dweller sharing my stories and passion for the outdoors to inspire you to immerse yourself in nature.